In the midst of what is shaping up to be a remarkable comeback, Dave Chappelle has just announced a 10-show residency at Radio City Music Hall in New York City. The August series of shows will be co-headlined each night by an impressive lineup of musicians and comedians, including The Roots, Chris Rock, Erykah Badu, Trevor Noah, Childish Gambino, Ali Wong and a few unannounced special guests. 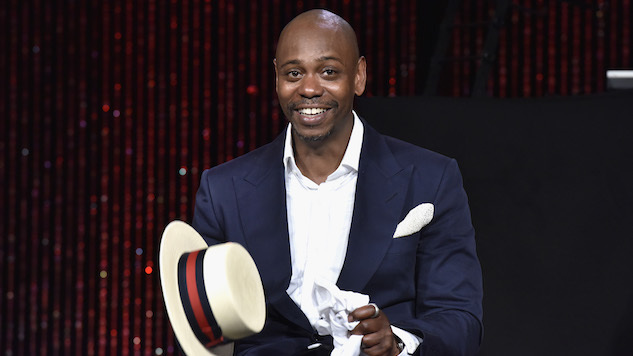 Chapelle did a similar tour run at Radio City in 2014 with guests like The Roots, Janelle Monae and Kanye West. The 2014 residency sold out, and the same should be expected for this years’, especially considering Governor’s Ball was previously set to be Childish Gambino’s only live performance this year. Tickets for all dates go on sale Friday, June 16, via Ticketmaster. Find the full slate below.